When one talks of the mighty West Indian team of the 80′s, names like Vivian Richards, Clive Lloyd, Micheal Holding and Malcolm Marshall come to mind; their reputations were enough to intimidate the opposition. But in the midst of all the big names was a wiry fellow who quietly did his job in the background (quite literally, behind the stumps) and went on to become a vital cog in the all-conquering Windies machinery. In a team of superstars, Peter Jeffery Leroy Dujon was the hard working commoner. 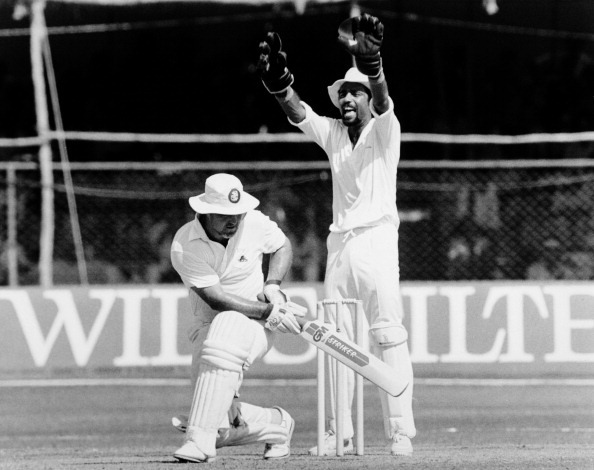 Born on 28th May 1956 in Kingston, Jamaica, Dujon, in a decade long career, won 81 Test caps for West Indies and had the distinction of never being part of a losing series. Since his Test debut in 1981, Dujon was an assured presence behind the stumps, gobbling up anything that the famous pacers of his team dished out. 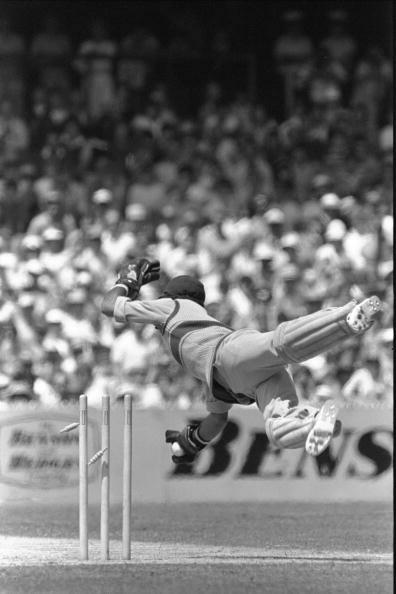 He wasn’t the typically strong West Indian, but his athleticism was hard to miss as he leaped around behind the wickets, catching some blinders. Though he had his problems standing up to the stumps, his glove-work played a massive role in enhancing the reputation of the deadly fast West Indian bowlers. By the time he quit Test cricket, only Australia’s Rod Marsh had more dismissals than his collection of 272 (267 catches and 5 stumpings). In an age when wicket keepers weren’t expected to play much of a role with the bat, Dujon proved his worth with the bat as well. Often left to bat with the tail, he elegantly scored vital runs down the order and introduced the term ‘wicketkeeper-batsman’ to the cricketing vocabulary. Batting in the lower middle order, he scored 3322 runs, including 5 centuries and 16 half centuries. In fact, it was his spirited batting in the highly competitive West Indies domestic circuit that brought Dujon into the limelight when he made his debut as a batsman in place of an injured Gordon Greenidge. His finest moment with the bat was against Australia, on a rain-marred Perth track , when he produced a splendid counter-attacking knock of 139 off just 158 deliveries. Coming in at 186/6, after the more illustrious batsmen in the side had failed, Dujon, despite being hit on the head early on, conquered both the conditions and the Aussie speedsters to set the foundation for an innings victory. Though he never won a World Cup, his exploits in limited overs crickets were quite noteworthy. In 169 appearances, he scored nearly 2000 runs, including 6 half centuries, to go with 204 dismissals and also led his side to a victory in an ODI. He was also chosen as one of the five Wisden Cricketer of the Year in 1989, before quitting the international arena in 1992. While he was nowhere near as celebrated as many of his team members, Dujon’s impact on the game was second to none. A team-man to the core, Dujon never craved for limelight and was always concerned about the larger scheme of things. After his retirement, he took to coaching young cricketers in Jamaica, still trying to improve the game that gave him recognition. To check the rest of the list of the greatest wicketkeepers of all time, click here.